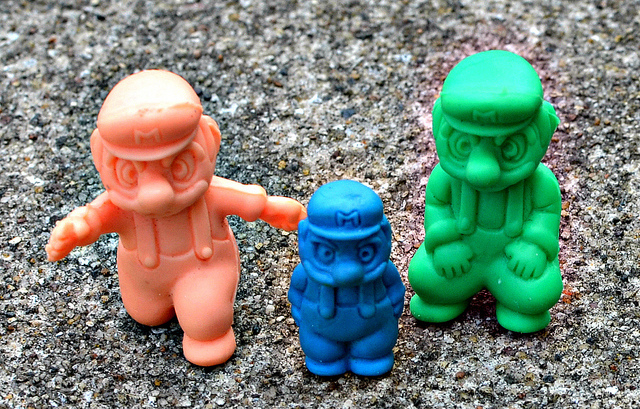 Little Weirdos: Mini figures and other monster toys: Nintendo keshi: Super Mario Bros.
Nintendo keshi: Super Mario Bros.
What: When I was a kid I spent a lot of time both playing with little rubber guys and playing Nintendo games, so back then I always hoped they'd make little rubber guys of Nintendo characters. Little did I know then that they did make them...in Japan! 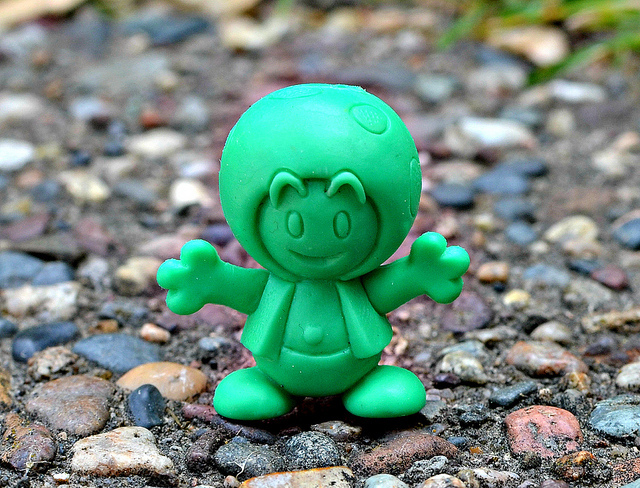 It only took me a couple of decades to find out they existed and to track some down, but I find them just as cool now as I probably would have then. 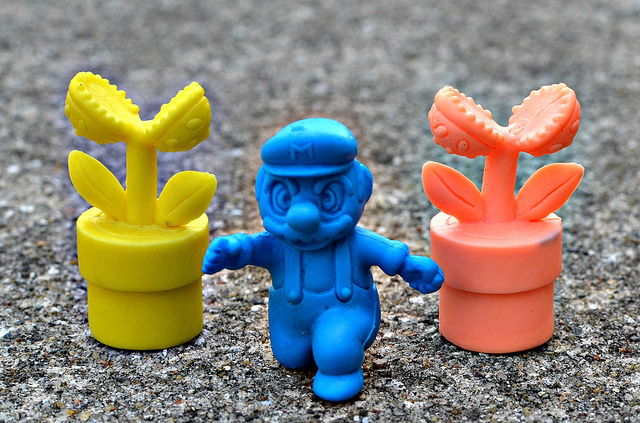 The figures I have are from the first Super Mario Bros. game and include a few variations of Mario himself, Toad, piranha plants, goombas, and koopa troopas. There were other characters besides the ones pictured included in this particular set, which you can see in this thread on LittleRubberGuys.com. 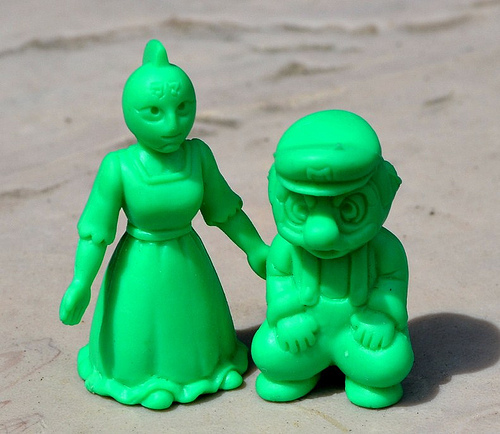 In addition to the Mario set, there were also keshi (the Japanese word for erasers or little rubber figures) released for a variety of games, including Ghosts 'n Goblins, The Legend of Zelda and more. These are made out of a soft eraser-like material similar to that of the Japanese Kinnikuman figures and came in a variety of colors. When: I don't really know much about these, but I'm guessing they were released when the game was originally popular in the mid-to-late-1980s. 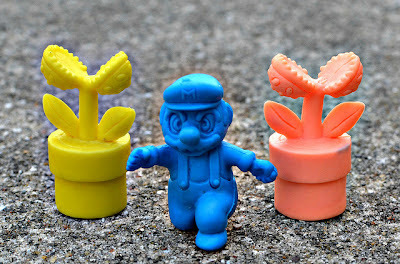 Who: From what I could tell these were released by the Nintendo company itself, but I'm not totally sure as I couldn't find much information out there. Hi. I'm an eraser collector and would like to get a set of those. 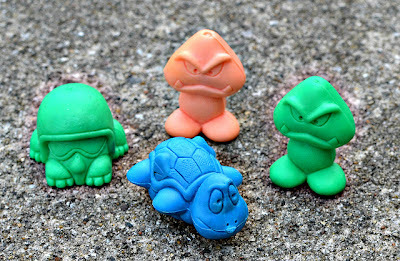 Do you happend to know if they are really erasers or just look like ones? I mean, can you erase with them? Hi--well I've never tried erasing with them, but they feel exactly like erasers so I imagine you could.